Disclosure: This post was sponsored by Talbots, but all opinions my own. I'm coming at you today with multiple looks comprised of pieces from the new Talbots plus size jersey knit collection. If you're someone who wants versatility in your wardrobe but not a ton of pieces, this collection is full of mix-and-match must haves. Talbots has long been a plus size staple, offering high quality, career-appropriate and elevated casual looks in sizes 0-24W for a long time. (Flashback to this Talbots outfit from 2014 that I'm still obsessed with.) I was thrilled to see that they have a mailer entirely dedicated to their plus size offerings! Within their current offerings, they have a set of plus exclusives. 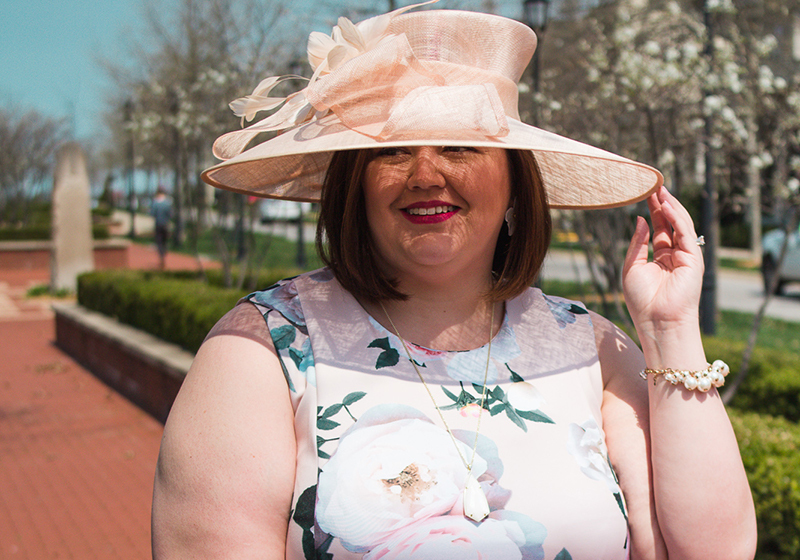 The fit, quality, fabrics, and styles were designed with the plus size customer in mind. Can we talk about how much I love knit jersey? It skims the figure, never wrinkles, and is comfortable. It's hands down one of my favorite fabrics for ease of care, and also packability. You can ball these knit jersey items up and throw them in a suitcase and have them no worse for wear. Not only is this knit jersey collection easy to take care of, I also love that they combined classic and contemporary elements. There's a set of solid pieces in black, white, and indigo (navy), but there are also pieces in this geo knit print, as well as the fun flared sleeves of this dress. Fun fact: I shot these photos and then went to a bridal shower wearing this dress. Within 5 minutes I got multiple compliments on the dress, and within 10, someone else asking me where they could buy it. Talk about a confidence boost! For size reference, I'm wearing a 3X in all pieces and am 5'10. I find these pieces to run true to size, and there is more give and ease with these styles because of the jersey material. I'm normally more towards a size 4X, and didn't have a problem with these pieces fitting similarly to other 3X styles. They're not cut large in my opinion, but the fabric and cuts lend themselves to different body shapes and sizing flexibility. You can browse all the available items from this plus size exclusive knit jersey collection here. 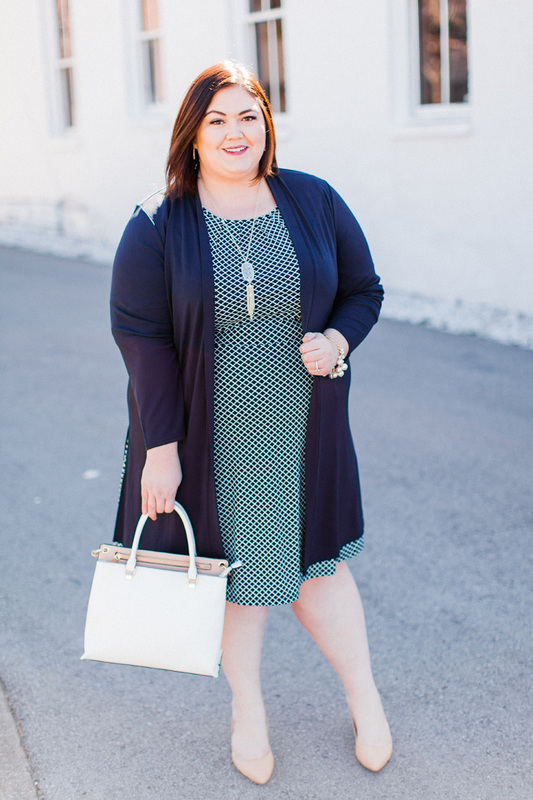 View the full plus size lookbook from Talbots here. Anyone else love jersey knit as much as I do? Questions about the styles, sizes, or collection? Let me know in the comments!